﻿ Fort Hope deserve everything they’ve gotten up to this point. Since rising from the ashes of My Passion (another band who deserved much more attention than they got), the band have since weathered lineup changes and the waning popularity of Britrock by continuing their admirably prolific string of singles and EPs. And to commemorate their first release at their new home of Virgin EMI, they’ve come out with…another EP. Yes, it is a slight disappointment, because Fort Hope have amassed so much material up to this point, but without a proper album it’s still a struggle to get a fully detailed picture of them as a band. Thus, Armure. suffers from the typical issues of a Fort Hope EP – it’s another short, fragmented look at the band that shows off their pieces rather than joining everything together. Because of this, and in what is becoming a frustrating theme for the trio, Armure. feels a lot more slight and insubstantial than it should. It’s a shame too, because, musically, these songs aren’t bad. At this point, Fort Hope have fully embraced their style of slick, crunchy rock, and Armure. is the result of them at their most dynamic. While the elasticated canter of Give Me That pares back the band’s typically epic feel for something much more punchy, Say No alternates between dainty piano lines and driving, almost metallic guitars in a move that has some genuinely succinct flow. Coupled with Jon Gaskin’s vocals that toe a very fine line between soaring and screaming intensity, and Armure. becomes another solid addition to Fort Hope’s seemingly ever-growing catalogue. But while Armure. isn’t a bad EP by any stretch of the imagination, it can feel as though Fort Hope are falling into a groove. These are definitely four good songs, but by now, everyone knows that they can pull that off. It kind of feels like the band putting off a proper full-length by getting just another EP out, and though that’s unlikely to be the case, it’s frustrating nonetheless. A worthy listen then, but one where the added annoyance of Fort Hope’s long game is unavoidable. 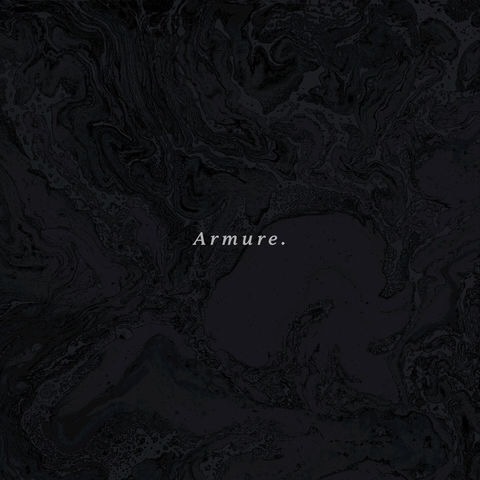 ‘Armure.’ by Fort Hope is out now on Virgin EMI.